Weight: 250 (gr) . 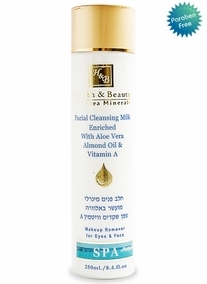 Mineral Face Milk. Deep cleansing of the skin is the key to healthy and well groomed skin. 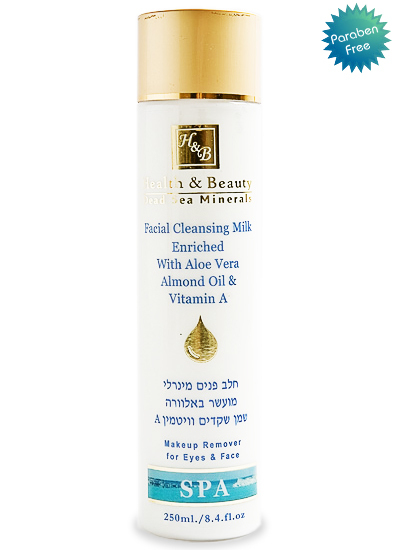 A cleansing lotion with a velvety and gentle texture which cleanses the skin and preserves its natural pH balance. Based on natural ingredients which relax the skin. It is enriched with aromatic oils, an orange extract, almond oil, Aloe Vera, Vitamin A and active Dead Sea water minerals for the deep and complete cleansing of facial skin and removal of make-up. Instructions for use: apply to the entire area of the face, eyes and neck, massage gently and remove using damp cotton wool. To complete the process of cleansing and rejuvenation of the facial skin, apply moisturizing cream. Suitable for all skin types.